"What is Life and Why are We Here?" 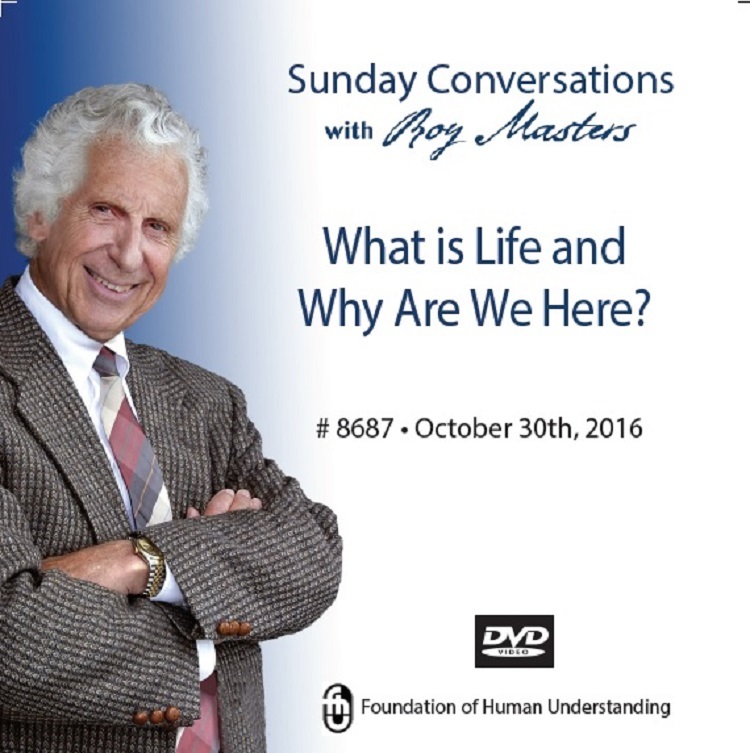 “What is life and why are we here?” Once again, Roy Masters goes to the heart. Roy does not stop there. He takes a penetrating look at our search for love, the value of marriage, intuition and why “You must not create your own future". Most helpful may be Roy’s discussion of codependency. The involvement Roy has with his audience is fascinating. You will hear a rare lesson of love to two mothers and their sons. By the end of the talk it becomes very clear why Roy defines codependency as slavery. The good news is that, once seen, the slavery can end.